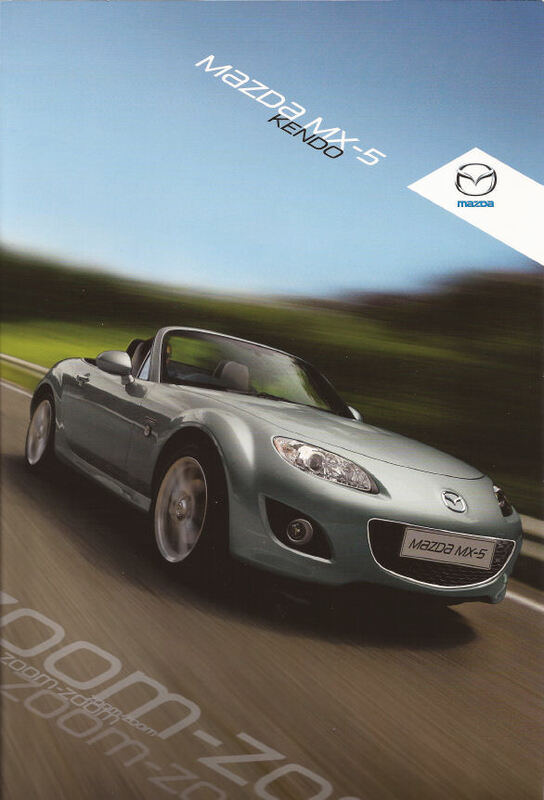 The MX-5 Kendo was an early 2011 special edition for the UK. 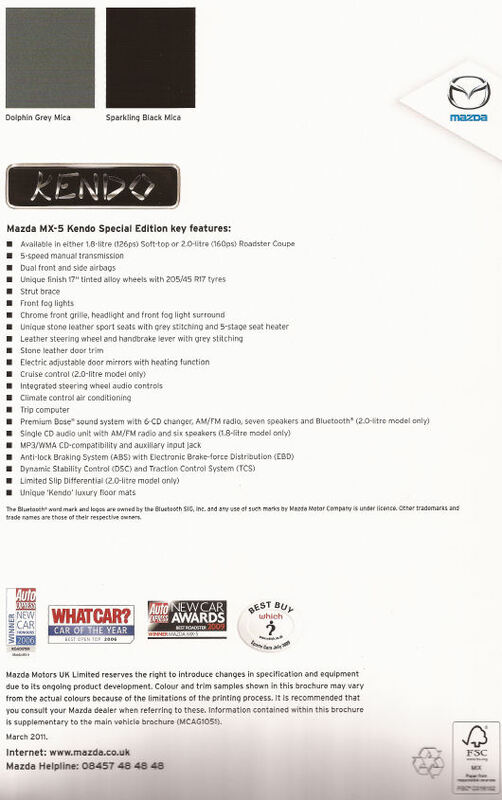 The Kendo specification is very similar to the previous year's Miyako, now with a fresh new colour combination. Kendo was available as either a 1.8 soft top or a 2.0 coupe. The 2.0 version was based on the standard 2.0 SE coupe specification with an added BOSE premium sound system. The 1.8 soft top was based on the regular 1.8 SE spec. 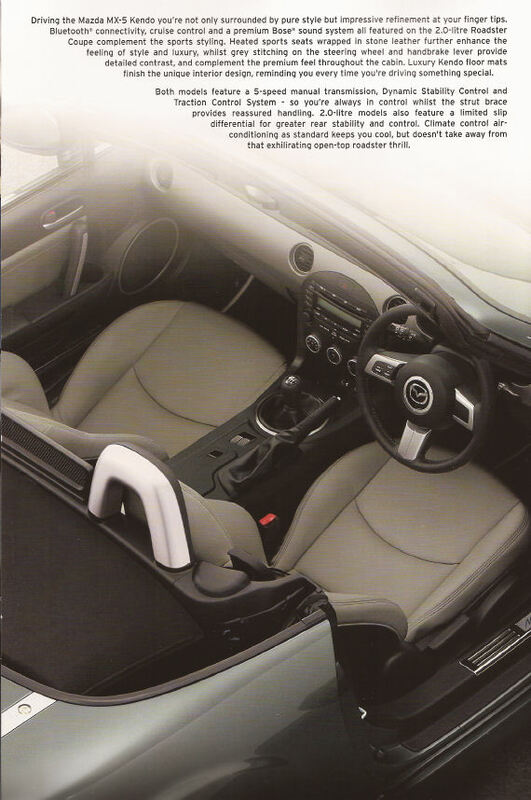 Unique features includes the stone coloured heated leather seats with matching door panels, each with grey stitching. There were Kendo branded carpet mats and wing badges. There are also some features normally found on the top Sport Tech models. 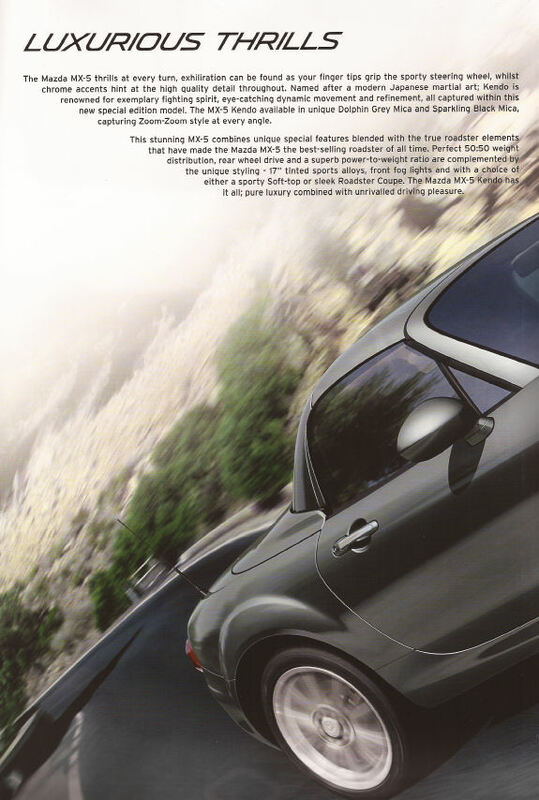 A nice set of 17" alloy wheels, front foglights, chrome accents to the front lights and grille, front strut brace, and air conditioning were all included. 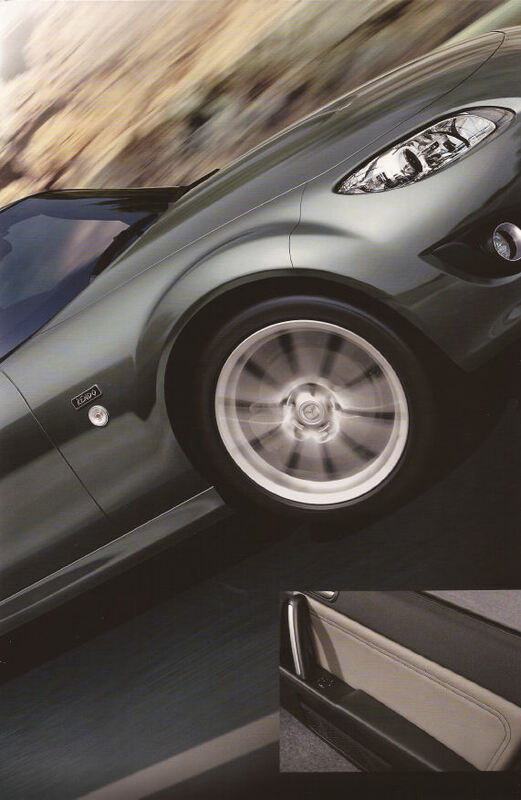 As for colours, Kendo was available in a choice of the new Dolphin Grey Mica or Sparkling Black Mica. 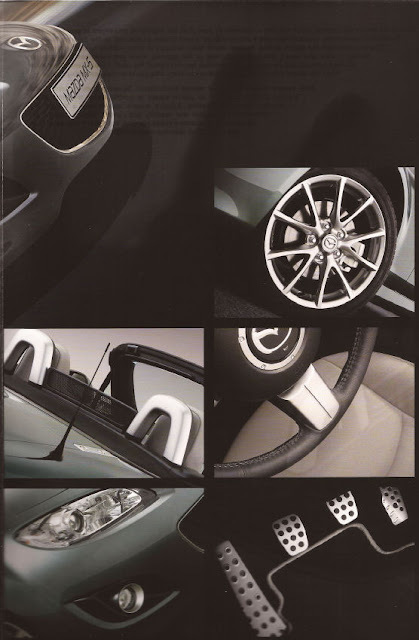 There were 750 2.0 coupe models priced at £22,320 and 350 1.8 soft top models at £19,255.